Branson is the perfect place to spend Mother's Day! From shopping at the Tanger or Branson Landing to dining at some of Branson's finest restaurants, you'll be sure to satisfy the mom in your life! There are many restaurants offering brunches on Mother's Day. These include: Chateau on the Lake Grille, Branson's Center Stage, and the Keeter Center at the College of the Ozarks. Main Street Lake Cruises is also offering a special Mother's Day cruise. If you're looking for entertainment, "IT" starring the Hughes Brothers is offering a free ticket for all moms during that weekend as well. 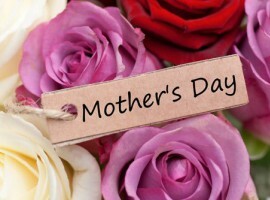 Make plans now to make this the best Mother's Day for your mom!